Mega Social Responsive blogger template is yet another fully dynamic blogger template with attractive design ideal for social collection site. Mega Social Responsive blogger template is yet another fully dynamic blogger template with attractive design. It is solely created for the purpose to develop a one successful mega social collection website. This template makes it possible to design a beatiful & great collection of social sharing blog/website. It is a modern portfolio and fast loading template using html5 tags. A complete user friendly that would lets you launch a fully functional blog or site within minutes. It is ideal for photographers, hobby bloggers and designers to showcase their work. It can be called a perfect multipurpose blogger template. 100% Responsive Mobile Layout: Like Bolina Blogger Template , Mega Social is fully responsive layout theme that will be accessed through various devices like tablet, iphone, mobile and PC. Layout: Since Mega Social is a different layout template which means it is available to the users in 3 different styles. A user can select a perfect template for a website. Tables: Tables will be displayed on homepage only. It holds all the social sharing icons for different websites. You can add table in the gadget box to display your own social list. SEO Friendly Template: This template is fully SEO optimized like Brandx Blogger Template. It has all seo meta tags and well h1 heading tags setting. There is no need of any type of customization. Schema, author tags and robots tag are installed in advance level..
Navigation: A clean drop down menu is integrated at the top of the wrapper. 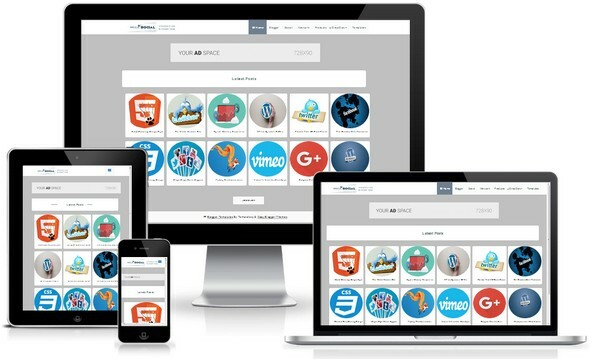 It is completely responsive that will give perefect look on any device. To customize the menu, check out the documentation file. Labels : Labels and category are both tags in blogger. Since the blogger default label widget is not looked professional. We have colorized it in a modern way, you will love the label widget of this template. Ads Ready: Are you wondering to increase your blogger site revenue ? 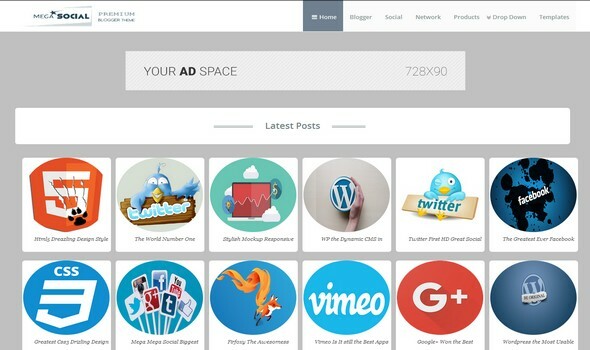 This template is completely advertisement ready which means all mega ads slots are integrated. All you need to add your ads coding. Social Buttons: Every single post display dynamic social sharing buttons. These buttons will help you to share your post on different social sharing website like facebook, twitter etc. We are really hopping that Mega Social Blogger Template will bring extra exposure in your blogger site. It is ideal for different niches, So you can use it for any niche website. A complete multipurpose blogger template of 2016.